With a new director in place, the museum saw an opportunity to broaden its audience. Visitors to Christian Marclay’s visual ode to time, The Clock, at #mfaNOW Overnight. 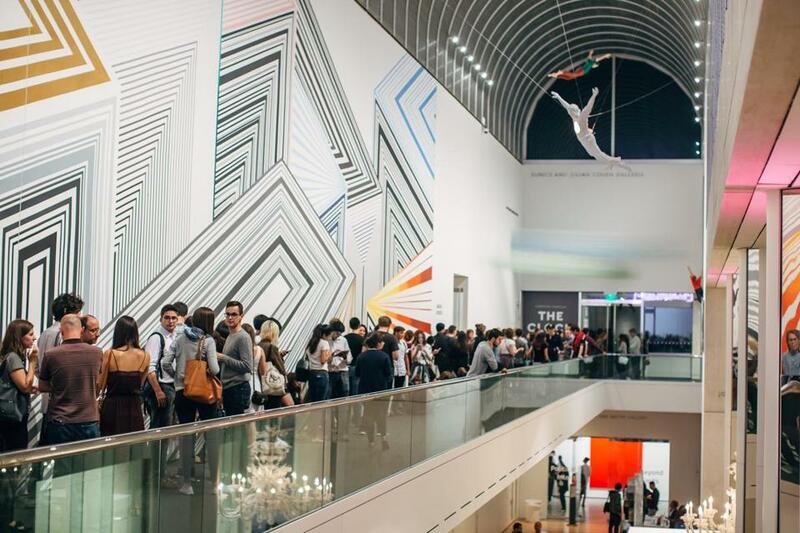 The creation of the #mfaNOW event series, which threw open the doors of the Museum of Fine Arts to guests last year for four all-night dance parties, lectures, and artistic celebrations, didn’t exactly happen overnight. It grew out of a confluence of factors, says Katie Getchell, the museum’s deputy director and chief brand officer. 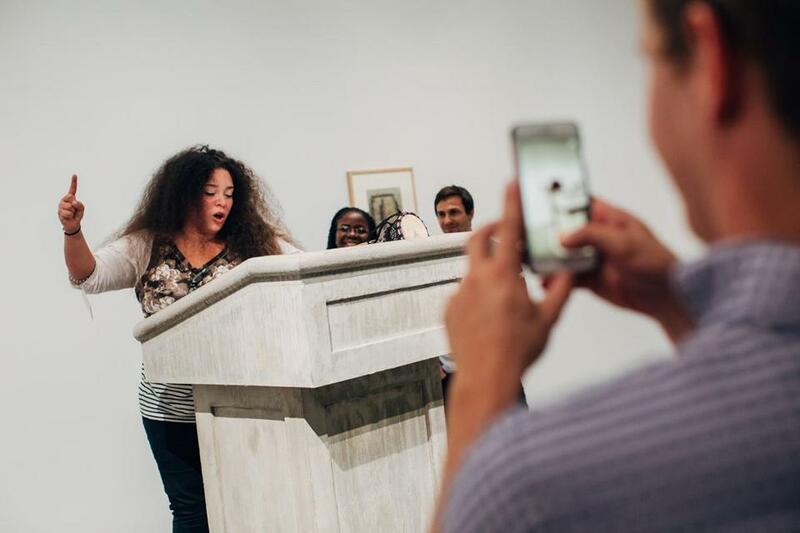 In a matter of months, the MFA had staged a series of exhibits that all seemed to speak to each other, encouraging interactivity and engagement among guests, she says. The resulting events attracted more 23,000 guests over the course of four evenings. What’s more, says Getchell, 70 percent of attendees said the experiment changed their perception of the MFA significantly. It’s shifted perceptions outside of the city as well: Museum colleagues throughout the country have reached out — somewhat incredulously — with questions about how to replicate the experience. The good news? We can expect more offbeat events this fall. Interacting with Amalia Pica’s Now Speak! at #mfaNOW Overnight. Janelle Nanos is a Globe staff writer. Send comments to magazine@globe.com. Follow us on Twitter @BostonGlobeMag.